Bon Operatit! 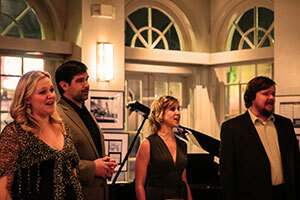 has been delighting audiences with their showstopping performances since 2009 when New Orleans singers Lauren Mouney Gisclair, Mary Penick Akin, and Jesse Nolan got together to form what was initially a trio. While Lauren and Mary have known each other since elementary school singing together with the Jefferson Performing Arts Society and other community performances, the three singers crossed paths many times and were sharing their voices as an ensemble long before the group officially formed. Lauren, Mary, and Jesse reconnected while serving as members of the New Orleans Opera Chorus for a number of New Orleans Opera Association performances including the 2009 Mahalia Jackson Reopening Gala Concert featuring and honoring Placido Domingo. 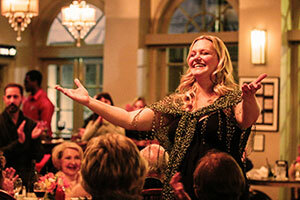 After several dinner theater performances at local country clubs, the three musicians saw an opportunity to spread their talents and love of music while also introducing opera to those with a preconception that this style of music was stuffy, snobby or outdated. Their fun, vivacious, and youthful voices and spirit coupled together with their selection of popular crowd-pleasing opera and musical theater hits allowed the singers to entertain audiences while exposing them to new less-familiar works. The name "Bon Operatit!," an obvious play on the common French expression "Bon Appetit," was selected as a tribute both to their New Orleans french heritage and their origins performing at country club dinners and private parties. The group recorded their self-titled debut CD soon after. In summer of 2009, an opportunity to partner with Inn On Bourbon (now the Four Points by Sheraton) presented itself as the hotel was trying to create its own unique ambiance paying homage to the site at which it was located. The hotel sits on the corner of Toulouse and Bourbon streets in the French Quarter on the site where the Old French Opera House once stood. The theater, built in 1859, helped usher in the Golden Age of opera in New Orleans. A series of free monthly performances by Bon Operatit! titled "Opera Returns to Bourbon Street" allowed and continues to allow visitors and opera afficianados alike to experience the grandeur of this bygone era while enjoying hors d'oeuvres and cocktails in a relaxed setting. Bon Operatit! has since performed at numerous festivals, events, parties, weddings, and special occasions around the city including a variety of popular venues such as The New Orleans Museum of Art, Gallier Hall, The Ogden Museum, The Louisiana Children's Museum, The Steamboat Natchez, The French Market, Le Petit Theater, The Upper Pontalba on Jackson Square, The Botanical Gardens in City Park, The Deutsches Haus, The Abita Brew Pub, Pontchartrain Vineyards, The Rusty Nail, Beau Chêne Country Club, Chateau Country Club, Metairie Country Club, Colonial Country Club, Carter Plantation, and Trinity Episcopal Church. 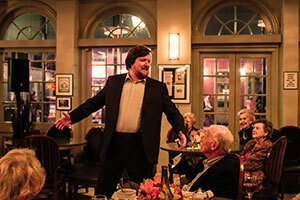 Some of our favorite events include French Quarter Festival, Tennessee Williams Festival, the Ogden "After Hours" series, the "Opera Returns to Bourbon Street" series, the "Bon Operatit! on the Balcony" series, Culture Collision at NOMA, the 2011 Tree Lighting ceremony with members of The Louisiana Philharmonic, The Crimestoppers Gala, The Delta Festival Ballet Fundraiser, and the "Opera on Tap" series throughout the city. 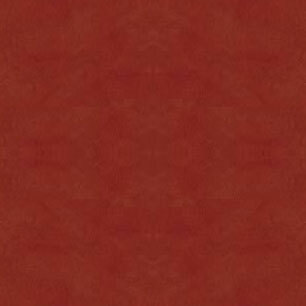 Bon Operatit! has been featured in the news appearing on WWL-TV, ABC-26, and Fox 8 morning shows as well as Steppin' Out on WYES and The SPUDcast with "Spud" McConnell on WLAE . The group has also been featured in local and national publications such as USA Today, ABC News, The Baton Rouge Morning Advocate, The Times Picayune, Louisiana Cookin' magazine, and Where Y'at magazine. In 2016, upon Jesse Nolan's retirement, the group expanded to include lyric tenor Joseph Akin (Mary's husband) and bass baritone Jacob Penick (Mary's brother) to truly make this endeavor a family affair. 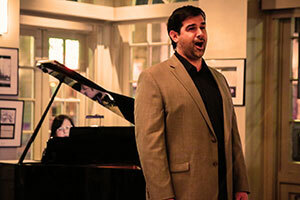 Jesse continues to sing with the ensemble from time to time in addition to a variety of other accomplished local guest singers and instrumentalists. We invite you to come to one of our next public performance. Simply visit our upcoming performances page or sign up for event notifications to see when and where Bon Operatit! will be performing next.